The Morrison government has sent qualified signals that it might agree to some refugees from Nauru being settled in New Zealand. It says it would be “more likely” to support the New Zealand option if Labor agreed to pass legislation to stop these people then being able to reach Australia by the back door, via the free travel arrangements between the two countries. The positive note comes ahead of Saturday’s Wentworth byelection, in which the situation of the refugees is one of the issues. New Zealand has for years had on the table an offer to take 150 of the refugees a year. The legislation at issue – which has not been able to obtain Senate support – would prohibit anyone who’d come by boat and was settled in another country from ever being allowed into Australia. But Labor remains opposed to the legislation in its current form. Opposition immigration spokesman Shayne Neumann said Labor welcomed the government’s “sudden and unexplained interest” in considering a deal with New Zealand. But the “lifetime ban” legislation “is not required to secure regional resettlement arrangements,” he said. Labor argues the government should negotiate a special arrangement with New Zealand to stop people resettled there from entering Australia, rather than having the catch-all bill. The issue of the children on Nauru – many of them with serious health issues – escalated in recent weeks, with campaigning by doctors for a more humane approach and pressure from government backbenchers. On Tuesday the crossbench gave notice of a bill to temporarily relocate children from Nauru for medical treatment. Crossbencher Rebekha Sharkie asked Scott Morrison whether he would support calls to do this. It is understood these transfers have been increased after backbenchers Russell Broadbench and Craig Laundy made representations to Morrison in a meeting last month. Victorian backbencher Julia Banks has also spoken out. Replying to Sharkie, Morrison hinted at more movement recently, when he offered crossbenchers an update “on the issue of transfers that continue to take place on a case-by-case basis”. There had been quite a number of transfers undertaken, recently and over a longer period, he said, adding that “some work has been done further over the last month on these issues”. Sources said the sick children were already off Nauru. At the Liberal party meeting on Tuesday, NSW backbencher Trent Zimmerman asked Morrison about the children and the New Zealand option. Shorten wrote to Morrison saying Labor would introduce legislation to ensure children received proper medical care. Among other things this would ensure the recommendation of treating clinicians was prime when determining a temporary medical transfer for a child and ensure the minister, not the bureaucracy, was the final decision-maker on transfers. The government has agreed to Labor’s December 1 deadline and tougher conditions in a deal on MPs citizenship disclosure clinched between Opposition Leader Bill Shorten and deputy Senate leader Mathias Cormann on Monday. The agreement comes after last week’s haggling over timing and the terms of disclosure, and a meeting and an exchange of sharp letters between Prime Minister Malcolm Turnbull and Shorten. It paved the way for an immediate motion in the Senate and one in the House of Representatives after it returns on November 27. Under changes obtained by Labor, MPs will have to go back as far as their grandparents and say what steps they have taken to confirm that they did not inherit foreign citizenship from their parents and grandparents. The original proposal by Turnbull only went back as far as parents. It required only that MPs stated when they nominated they were not, to the best of their “knowledge and belief”, a citizen of any other country. The resolution includes a provision requiring an MP who at the time of nomination, was a foreign citizen (or is currently), to state on what basis they contend they should not be disqualified under Section 44(i) of the Constitution. This covers the situation of several Labor MPs, who took steps to renounce their foreign citizenship but did not receive confirmation before they nominated. Labor has legal advice these MPs are safe; the government has advice they are breaching the Constitution. Labor claimed it got all it wanted in the deal; the government claimed the ALP wished to include further clauses designed to clear MPs on the basis that they had taken “reasonable steps” to renounce dual citizenship. The government compromised twice in bringing forward the date of disclosure. Most recently it was saying it should be December 7. A later disclosure date would have required a special recall of parliament to consider any referrals to the High Court. These will now be able to be dealt with in the last week, starting December 4, of the current timetable. The government is flagging it will refer up to four Labor MPs to the court, although it is not clear whether it will wait to do this until the December 4 week, or seek to move the week before. In the Senate, Australian Conservatives leader Cory Bernardi claimed a senator was ineligible to sit and the government was aware of it. The senator in question is not a member of the government. Tasmanian crossbencher Jacqui Lambie’s eligibility has been questioned in recent days. Meanwhile, a ministerial vacancy has opened with the elevation of Scott Ryan to the Senate presidency on Monday morning. Ryan has been special minister of state. Turnbull will reshuffle his ministry at some later point, in what are expected to be quite extensive changes. The High Court’s recent disqualification of the Nationals Fiona Nash has opened another vacancy. In the meantime, Cormann will take over responsibility for the special minister of state portfolio. The byelection for the seat of Bennelong, vacated by John Alexander who believes he had dual citizenship, will be held on December 16. Alexander will have to free himself of his UK citizenship before nominations close for the byelection. Shorten told a meeting of Labor senators: that Labor was “behind the eight ball” in Bennelong, where the Liberals have a margin of nearly 10%. “But we are going to give it every effort,” he said, defining the battle as “about the direction in which the nation is headed. “One point we will be making in Bennelong is that because of the increasing and disturbing closeness and proximity between One Nation and the Liberal Party, that a vote for the Liberal Party in Bennelong is effectively a vote for One Nation on the national stage. “When you look at One Nation’s voting record in the Senate, nearly 90% of the time they are voting with the Liberals. “So for the voters who think they are voting for One Nation as a protest against the Government, they are not. And for people who vote Liberal because they don’t agree with some of One Nation’s extreme views, they are, in fact, endorsing them,” Shorten said. A treaty signing ceremony on the East Timor Sea boundary could take place by the end of the year. The announcement on the weekend by the Timor Sea Conciliation Commission is the first indication that Australia and Timor Leste are making real progress towards resolving their maritime boundary dispute. If this process reaches a successful outcome, a permanent maritime boundary will have been drawn in the Timor Sea between Australia and Timor Leste for the first time. However, the conciliation still has some steps to complete. A formal treaty will need to be negotiated, signed and ratified before a new legal framework exists. The catalyst for the dispute was the 2002 Timor Sea Treaty, negotiated by Australia and the United Nations Transitional Authority in East Timor (UNTAET) in the lead-up to East Timor’s independence. That treaty was based partly on a precedent – the 1989 Timor Gap Treaty between Australia and Indonesia. The 1989 treaty agreed on a joint development zone for the Timor Sea, providing for a 50/50 sharing of oil and gas revenue. Importantly, existing continental shelf boundaries concluded in 1972, which lay to the east and west in the Timor Sea, were not disturbed. The result was an unusual set of maritime boundary arrangements for the region. 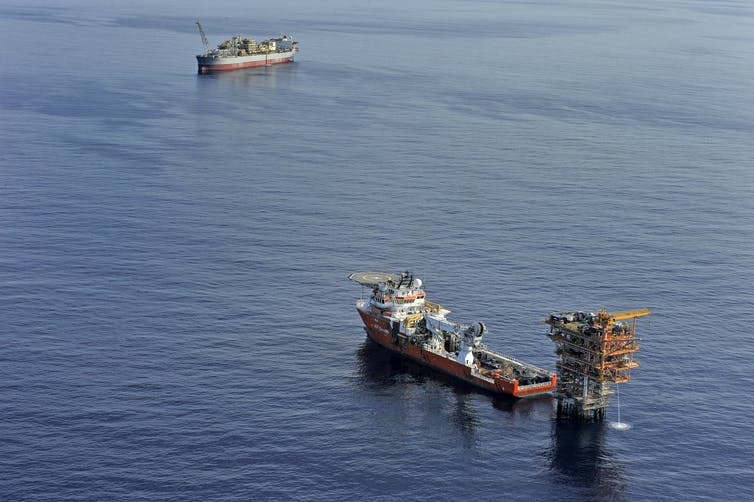 However, this approach was justified because of developments in international law, following the 1982 United Nations Convention on the Law of the Sea, and the contested oil and gas riches of the Timor Sea. The 2002 Timor Sea Treaty was a variant of this approach, though the joint development area was smaller and the royalty split was 90/10 in favour of Timor. While the treaty provided some continuity from the previous regime, it left many issues unsettled. There was no permanent maritime boundary and no clear timetable for one to be finalised. 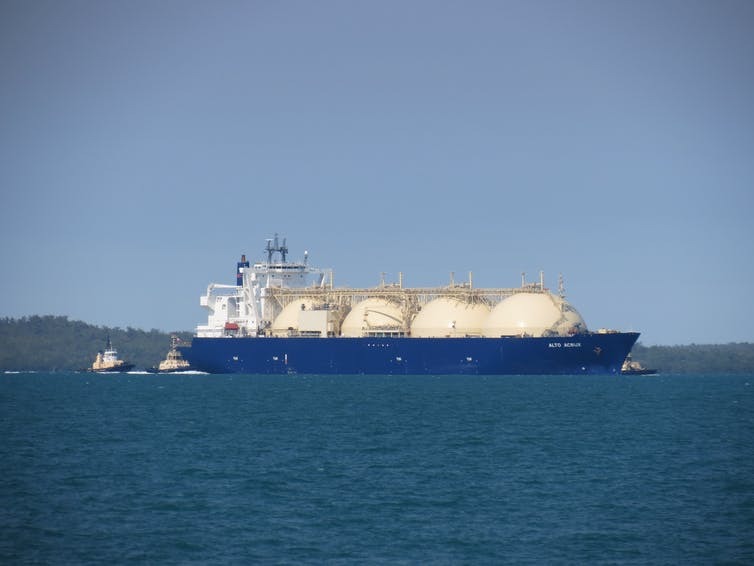 There was no clarification of the status of the Greater Sunrise field that straddled the northeastern quadrant, and no clear framework for oil and gas development for the direct benefit of Timor Leste. These issues formed the basis of Timor’s campaign of the past decade to bring to an end what Dili considered to be an unjust series of associated treaties. Since October 2016, the Timor Sea Conciliation Commission has met with the parties on six occasions. The most recent meeting concluded on August 30 in Copenhagen. There a breakthrough occurred, which has given confidence that a maritime boundary delimitation in the Timor Sea will be concluded. Final details remain to be settled, but it seems a package of measures has been agreed. This includes the legal status of the Greater Sunrise gas field, the establishment of a “special regime” for Greater Sunrise, and mechanisms for resource development and revenue sharing. It is anticipated that the conciliation will conclude by October. By this time the parties may have negotiated a treaty instrument to give effect to these arrangements. If not, treaty negotiations will still be able to take place independently of the conciliation. At this rate of progress, a treaty signing ceremony could take place by the end of the year. This outcome represents a considerable political victory for Timor Leste. It has been able to force Australian into a third party conciliation, thereby circumventing Australia’s preference for negotiated maritime boundaries. It has also been able to force Australia to abandon its support for joint development in the Timor Sea in favour of a permanent maritime boundary. While the direction of that boundary remains unknown, international law would support a median line midway between the Australian and Timor coasts, subject to some technical adjustments. It would appear that Australia has also made concessions on Greater Sunrise. The extent of these remains confidential. Whether the eastern lateral boundary of the 2002 Timor Sea Treaty has been modified in favour of Timor Leste is unknown. Whatever that outcome, legal mechanisms will be required to resolve the transfer of sovereign rights to Timor from the previous arrangements. The outcome will be a major achievement for Timor Leste’s goal of settled boundaries, both land and maritime, with its major neighbours Australia and Indonesia. How Indonesia will react to these proposed arrangements remains unknown. Australia’s most complex maritime boundaries are with Indonesia. These have been carefully negotiated since the early 1970s, but reflect evolving legal rights and entitlements, some of which are out of step with international law in 2017. The challenge that may loom is whether Indonesia will use the precedent of a new Australia-Timor Leste treaty to reopen previously settled maritime boundaries with Australia. 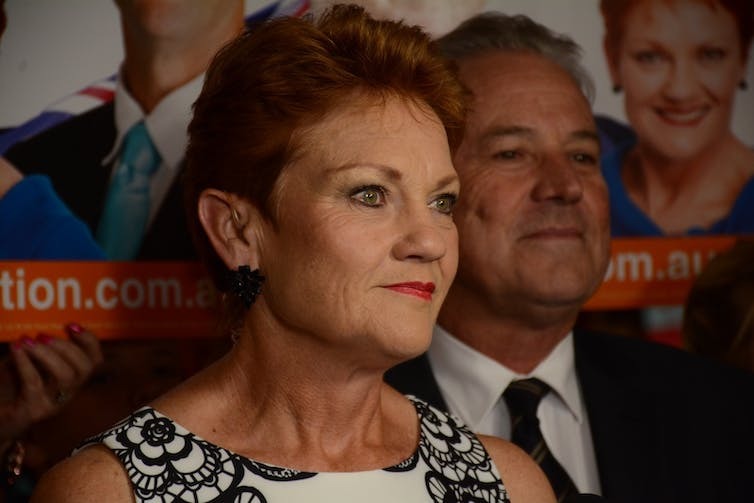 Pauline Hanson after her One Nation party performed worse than expected at the WA election.